I'm not officially back yet; I'm sort of in a transitional phase. I'm trying to clean up some of the links here. If there's something you want that doesn't have a working link right now, let me know and I'll try to fix it ASAP. 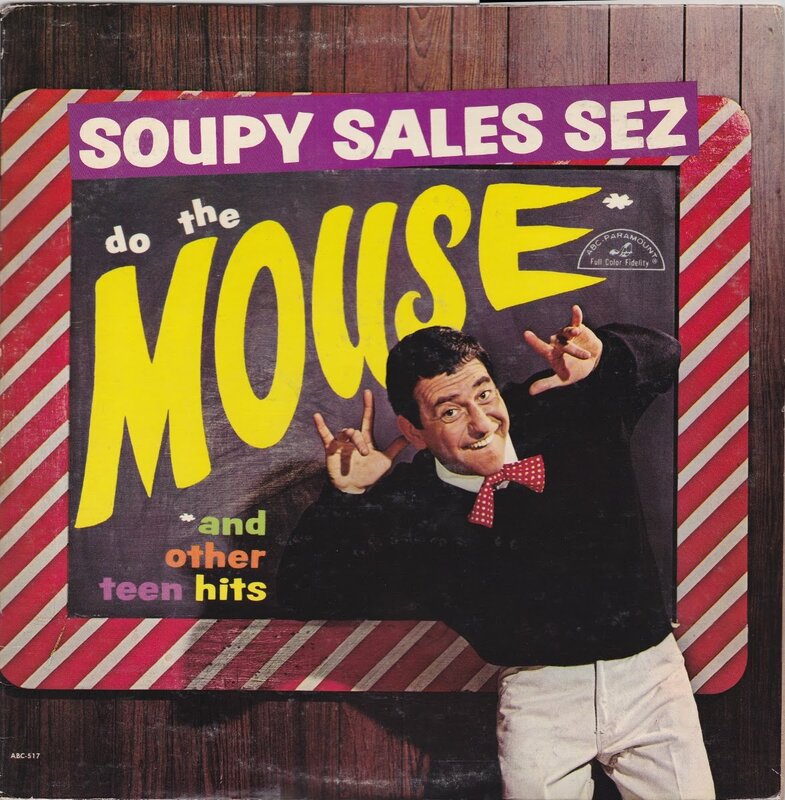 Soupy Sales was a popular kid's show in the 1950s and 60s. He also had a minor hit with the song "The Mouse," which also had an accompanying dance. 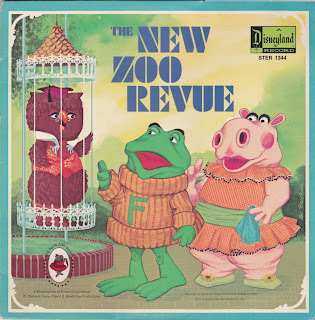 On this album, he not only performs that hit and the follow-up "Mouse Trap," he also sings a number of popular songs at the time, as well as some fun novelty hits and original songs. Enjoy! 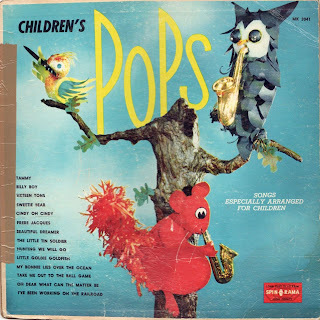 UPDATE: I'm afraid I was forced to remove the link for this album, but you can find these songs (and more) on the album featured below! Woo-hoo! I actually got another album in for this week! 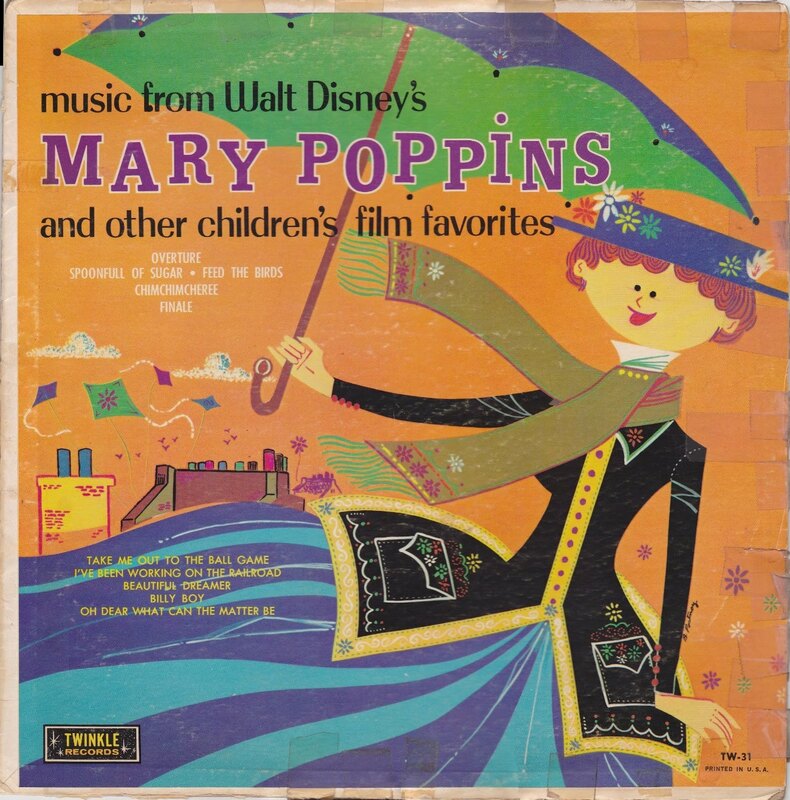 The first side of the record features songs from "Mary Poppins," but for some reason "Let's Go Fly a Kite" is simply referred to as the "Overture" and "Stay Awake" is called the "Finale." Also how they could have done a Mary Poppins album and left out "Supercalifragilisticexpialidocious" is beyond me! The flip side features such film favorites as "Take Me Out to the Ballgame" and "I've Been Working on the Railroad". (Huh?) Anyway, I hope you like it! 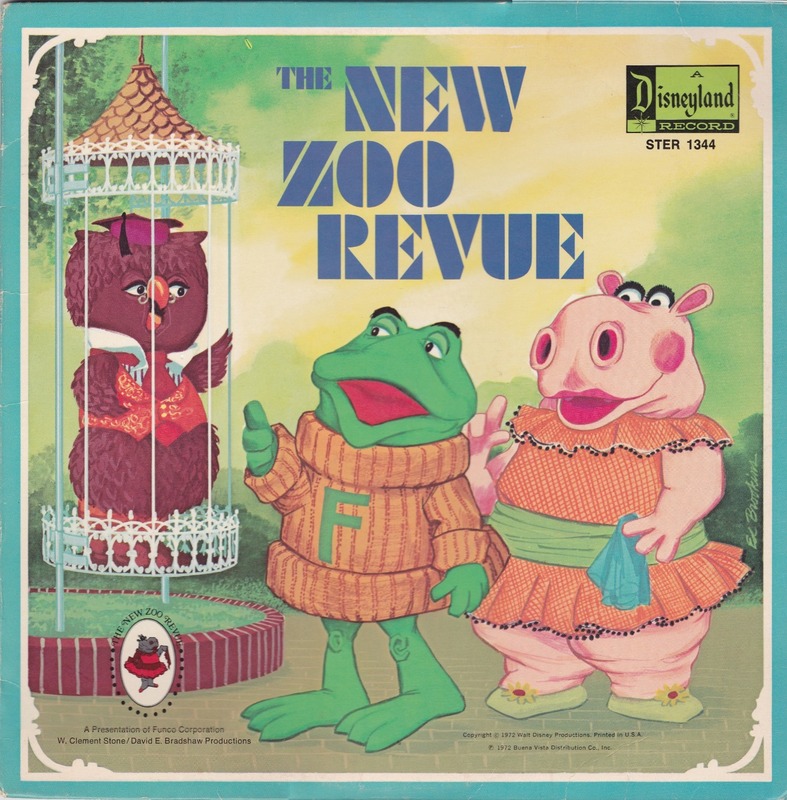 Hey, I'm back again after too long an absence, with this fun album from the classic children's show. 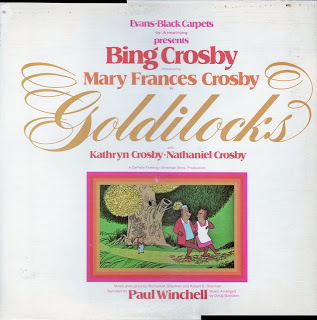 I think it was actually two short records put together because the opening and closing theme appear on both sides of the record. I changed it so the open starts the whole record and the closing theme finishes it. These sound like they might have been taken from actual episodes. Anyway, I hope to have at least one more album on here this week, so let's cross our fingers and hope for the best! Here's an album that tied into the dance craze at the time, the twist. 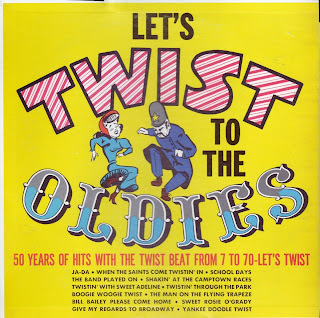 It features a number of old songs fitted into a twist tempo. As with any album like this, it works better for some of these than with others. I prefer the ones that include singing by a cut-rate Chubby Checker sound-alike. Hope you like it!